We live on the internet nowadays. And there's some thinking that suggests you can get a peek into the psyche of large groups of people by parsing what people search Google for. A new map based on this idea shows that a lot of people want to know why Philadelphia is so haunted. 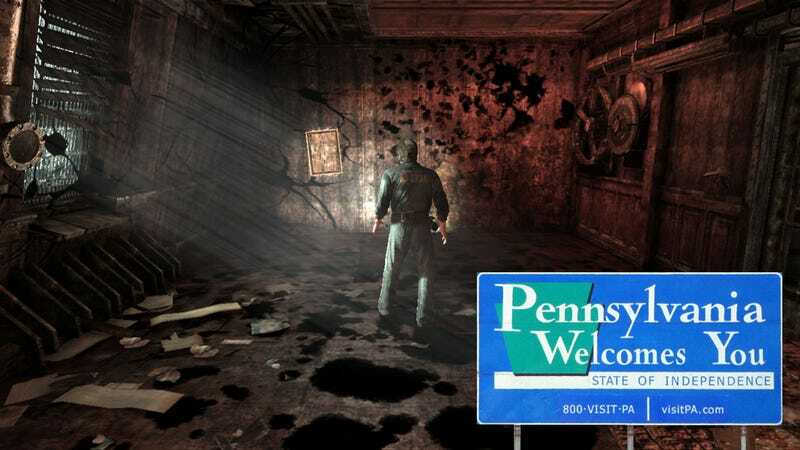 Sounds like the next super-scary video game needs to set up shop in the Keystone State, right? The image above comes from Amazing Maps, which culled the adjectives for each state in the US from Google auto-complete results. (Incidentally, the movie version of Silent Hill was based on the real-life town of Centralia, Pennsylvania.) And, hey, if you're wanting to make a game like DayZ where vast stretches of land separate people, Nevada seems like a good bet.